Learning to play blues guitar is awesome, since it's one of the easiest genres to master on the guitar. Because of this, and the fact that playing the blues is fun and expressive, many beginner-intermediate guitarists choose to learn the blues. And yes, it is possible at an early stage already. To start playing the blues, one of the most fundamental things you'll need to know is what a 12-bar blues progression actually is. This short blues guitar lesson will introduce you to the 12 bar blues form, the chords you'll need to play, and the order you'll be playing the chords in. First off, let's have a look at the chords you'll play with a 12 bar blues progression. You may, or may not be familiar with the popular I-IV-V chord progression. This dictates the chords you'll be playing in any given key. The way it works the following. since the major scale in the key of E goes: E-f-g-A-B-c-d. The first degree of the scale is E major, the fourth is A major, and the fifth is B major. If you are into music theory, you will refer to the I chord as the tonic, the IV chord as the subdominant, and the V chord as the dominant. So now that we got the basic chord progression out of the way, lets have a look at the 12 bar blues guitar progression. It helps to imagine the 12 bar blues in a series of 3 times 4 measures. The first 4 bars start things up with the relaxed I chord. The second 4 bars start off with 2 bars of the IV chord, which starts building tension, then resolves back to the I chord for 2 bars. The last 4 bars of the progression, you increase tension by playing the V chord, and gradually decrease it and eventually resolve the tension by playing the IV chord in the 10th bar, than the I chord for the last 2 bars, adding the V chord at the end as the turnaround. So basically this is the 12 bar blues guitar progression, it's fairly simple, since it only uses 3 chords in a set progression, feel free to try it out in other key as well. I’ve read some music theory and there’s something that nags me: how come 12 bar blues has chords from the major scale. I mean the E blues scale doesn’t have the d# and the f# from the B major chord in it. So it’s named 12 bar blues but the chords aren’t restricted to the blues scale. Is there a reasonable explanation to this? It’s the bottom tab, called “In the key of”. It’s all about what key you are in. You are referring to an E major scale in your question, not an E blues scale, where you would have a flat 3rd, flat 5th, and a flat 7th. Keep in mind that blues isn’t always played on the blues scale. You have minor blues, major blues, and everything in between, if you make it sound bluesy. Oh, and to make it more interestin, if you are playing a blues solo, you can even mix some major scale notes into a minor blues. 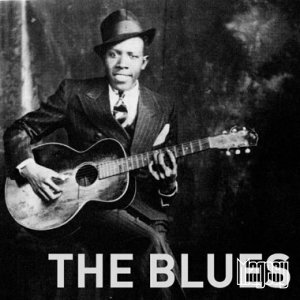 It takes lots of listening to blues and lessons to get a feel for it. I really dig the reviews, opinions, and tips about the blues and music in general you have on your blog. Great post, keep up the good work. Thanks. Though simple 12 bar can sound brilliant. Good players can play anything.I’ve tried too much playing guitars. Its a lot of fun and makes you wish you could do it.